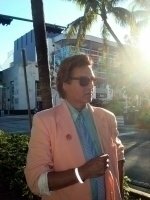 Miami Vice LookAlike Impersonator. 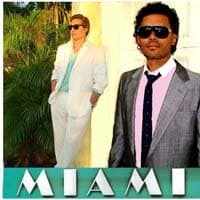 For your Miami Vice impersonator South Florida Events. Miami Vice Celebrity Look Alike, Lookalike Impersonators. 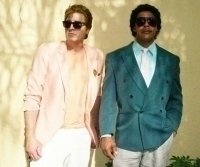 Don Johnson as James “Sonny” Crockett and Philip Michael Thomas as Ricardo “Rico” Tubbs, Celebrity Look Alike Impersonators. Call Besser Entertainment at 954-484-7884. 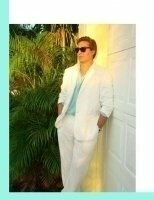 Miami Vice Look Alike. 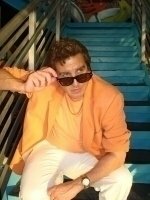 Book Miami Vice Look Alike Celebrity Impersonator today. 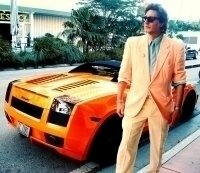 Miami Vice is an American television crime drama series created by Anthony Yerkovich and produced by Michael Mann for NBC. The series starred Don Johnson as James “Sonny” Crockett and Philip Michael Thomas as Ricardo “Rico” Tubbs, two Miami-Dade Police Department detectives working undercover in Miami. The series ran for five seasons on NBC from 1984 to 1989. The USA Network later began airing reruns the next year, in 1990, and broadcast an originally unaired episode during its syndication run of the series on January 25, 1990.